How Many Words Are There in the Harry Potter Book Series? The Harry Potter books are popular, and once someone reads the first book in the series, they often end up reading the entire series. What isn’t often considered is the sheer number of words a person who reads the entire series consumes. For those who like to keep track of their reading word count — or those who want to encourage their kids to read more — the Harry Potter books series is an excellent way to do so. So, how many total words are there in the Harry Potter series? The answer may surprise you. The total number of words for the Harry Potter series is over 1 million words. That’s correct. If you want your kids to read over one million words in a short period of time, one of your best chances is to get them interested in the Harry Potter book series. How many words are in Harry Potter and the Sorcerer’s Stones? There are 76,944 words. How many words are in Harry Potter and the Chamber of Secrets? There are 85,141 words. How many words are in Harry Potter and the Prisoner of Azkaban? There are 107,253 words. How many words are in Harry Potter and the Goblet of Fire? There are 190,637 words. How many words are in Harry Potter and the Order of the Phoenix? There are 257,045 words. How many words are in Harry Potter and the Half-Blood Prince? There are 168,923 words. How many words are in Harry Potter and the Deathly Hallows? There are 198,227 words. 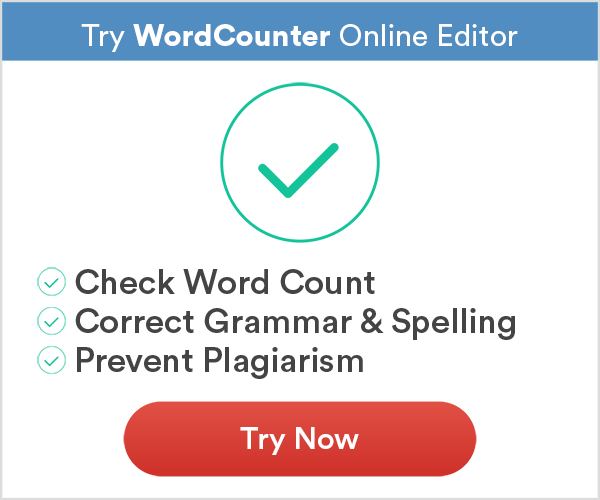 While knowing the total number of words in the Harry Potter series isn’t going to convince anyone to read all the books, knowing the total word count is an excellent way to encourage kids to read more. Reading over 1 million words is a great accomplishment which can be celebrated in addition to the fun and adventure that comes with reading the books. Now you know you can congratulate anyone who has read all the Harry Potter books of reading more than a million words. So if I read the entire series like I did, I read over 1 million words?!? Well, that sure is a lot of words to read and so many people read all the books. That sounds like more words than I would’ve ever thought. I’m glad that I can say that I’ve read over 1 million words from these books. HOLY MOTHER OF CHICKEN NOODLE SOUP!!!!!!!!!!!! I READ 1,000,000 WORDS???????????????? You must have a lot of free time to count all the words in the Harry Potter books! I love Harry Potter, but I would never take the time to count all of the words. I don’t think that he sat down and counted each word in each of the Harry Potter books. He just gathered the information. Obviously noone counts the words manually anymore. Most of the ebook readers now themselves give how many words are in the given ebook. I live Harry Potter. I wish there were even more books to read. 2 million words or 5 million words. I would even read 10 million words! As a teacher, this series is so great to get students interested in reading! They get hooked on the fist book and you know the are going to read over1 million words because they won’t stop at the first book. It’s such a magical series! I think all students should read this. Think about how much more fun school would be if Harry Potter was assigned as homework! You’re reading Harry Potter gay fanfiction? I’ve read fanfictions longer than every one of there books. yeah, some are over 1 million words long… for ONE story. I loved the Harry Potter series. I wish the books would never end it was so much fun reading. Realizing that the entire series is over 1 million words read is great trivia to have. I bet most kids ha no idea they are reading that many words. It’s great for all those who believe that reading is important! To me, the fourth book is the most interesting, because I’m obsessed with tournament related plot (influences of too much shounen manga). Death Hallows is somehow the least interesting. Not sure why. I guess it’s probably because the plot going dark and no more fun time like in the previous books. I loved reading Harry Potter is well. I think these were the first books that really got me excited about reading and I can never thank Harry Potter enough for helping me to love his world and reading. This is the order of my favorite books. It was difficult to put them in order because I love them all so much, and if you ask me tomorrow I may put them in a completely different order, but that’s what I think right now. Harry Potter is one of my favourite books and ive only started the second book. I recently started reading Harry Potter too. I love the first two books and I’m so excited about reading all the rest. I hope that you love the books is much as I am loving them. I’m happy to see that there are still some people who are just learning about the magic in these books just like I am! I think Harry Potter should be required reading for everyone in grade school. If this were the case, a lot more people would like to read. Why don’t schools assign reading that kids would actually like rather than boring stuff that we have no interest in reading? Everyone LOVES Harry Potter and even if there are over 1 million words in the book, kids will still read it. Not all. I know some people (including myself) who don’t enjoy the books as much, but it would be nice if teachers actually assigned the series for homework. My teacher might because she’s obsessed with Harry Potter and it would get a lot of people to love reading. Does anyone have book recommendations that are similar to Harry Potter that are also worth reading? I loved the HP series, and have actually read it three times now! And I still want more. if you know of other books similar that I would like, please tell them to me. If you want amazing characters and a fictional plot ready Percy Jackson and then read Heroes of Olympus. You won’t regret it. I think it’s great that the Harry Potter books in combination are over 1 million words. I think that if you asked most kids if they would read 1 million words they would think you were crazy, but if you just hand them the Harry Potter books they would read through them all over a summer. That’s just crazy! Harry Potter is so good that kids will read 1 million words over a summer. That just goes to show how great these books are! I personally think that the harry Potter books are overrated. Sure, they are decent, but not nearly as good as everyone seems to make them out to be. Kudos if it helps to get kids to read, but there are far better books out there and I wish that kids didn’t focus so intently on just this series. Like what? It’s easy to diss on Harry Potter, but it’s useless unless you provide examples to back up your assertion. Tell us all these books that ate better than Harry Potter! People have their own opinions… You might not like some other books other people list off that they think are better than HP, but others might. So that argument’s useless. I can’t believe anybody would ever say that. You thought Harry Potter books were average? You must not have been reading the same books that I was reading. Is it really necessary to bash on people who don’t like the series as much? I mean, you have your opinions, we have ours. I love Harry Potter more than anything and I don’t know if I would ever read if not for these books. They inspired my love of reading. How many book series can claim that? Do you know how many words are in the new book Harry Potter and the cursed Child?? This is interesting to know just for all the Harry Potter fans out there who, like me, read them all. Must say it doesn’t feel like I read that number of words because the books are so entertaining. I guess that’s a sign of a really great book — you read 1 million words and it doesn’t seem like there were enough. You want even more. The thing that everyone misses is that it’s not the number of words written, but the words that are written. It’s an interesting book and series and that is why people read them. It has nothing to do with the actual number of words written. 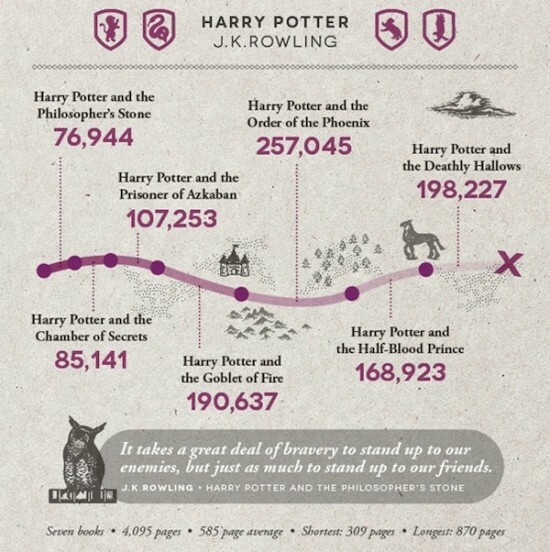 This may be true, but knowing that those who read Harry Potter are reading over 1 million words is pretty cool to know. It may not be the main point, but it’s an interesting point. 1 million words is a lot more than I would have estimated are in the Harry Potter book series. It’s a great number to encourage kids to read, but I’m also impressed with any author who can write over 1 million words that people actually want to read. That’s a pretty impressive feat for any writer. I just finished the Harry Potter series and I loved it. I think I may be the biggest Harry Potter fan around now. They are such wonderful books and I can understand why everybody loves them so much. The fact that I read over 1 million words is just a bonus. I don’t know what I’m going to do now that I finished all the books. I love them, but I’m sad that I don’t have any more to read. There is one thing that I think that everyone should know about Harry Potter that is the BEST book in the universe!!!!!!!!!!!! Go Harry Potter!!!!!!!!!!!!!!!!!!! 7. The Sorcerer’s Stones has 76,944 words. 6. The Chamber of Secrets has 85,141 words. 5. The Prisoner of Azkaban has 107,253 words. 4. The Half-Blood Prince has 168,923 words. 3. The Goblet of Fire has 190,637 words. 2. The Deathly Hallows has 198,227 words. 1. The Order of the Phoenix has 257,045 words. Thank you. I was looking for the number of words in the Harry Potter books in descending order, but this works fine by just flipping it upside down. Personally, I think there are exactly the right number of words in the Harry Potter books. They are perfection! I don’t think the number of words matter. What matters is if the books speak to you. If you read them and leave feeling better than when you began the book, then they are a success. The number doesn’t matter compared to that. One million of the best words ever written! I love Harry Potter and the series. There are way too many words in this for me. There is no way I would ever read more than a million words. What a waste of time! You shouldn’t base what you read on the number of words in that reading. You should base it on whether or not the reading is good or not. If something is good, you’ll read not worrying about the number of words. You;ll simply want to read more. That’s what happened with me and Harry Potter. Don’t stop before you even start! I’m actually a bit surprised. I would have thought there would have been MORE words in all those books. It’s good to know. I think kids will feel accomplished when told they read a million words. Well I think that there should have been 700000 words or something like that because of all the magical ties of the number seven. I’m saying this because I was on Pottermore this morning and I was reading that segment. If anyone does find out that the amount of words in the series has something to do with the number seven PLEASE tell me!!! Meanwhile Brandon Sanderson writes a 500k word book in 2 years. That guy is literally a machine. This surprises me because I’ve read Harry Potter fandiction with more words then all the books combined.